Our goal is to connect people with the best local experts. We scored plumbers on more than 25 variables across five categories, and analysed the results to give you a hand-picked list of the best plumbers in Murrieta, CA. Big B’s Plumbing provides a variety of plumbing services for residential and commercial properties in Murrieta, CA and the surrounding areas. This family-owned and operated business takes pride in their highly skilled workers and commitment to employee satisfaction. A variety of services are available including sewage backup, leaks, plumbing camera inspection, trenchless pipe repair, water conditioner, grease traps, and much more. An online photo gallery featuring finished projects is available for review on their website. Big B’s Plumbing currently holds a five-star rating on Facebook where clients speak highly of their professionalism, open communication, and attention to detail. Services are available 24 hours, seven days a week. Kent Plumbing is a locally-owned-and-operated company, serving the plumbing needs of residents and business owners in Temecula and Murrieta, California and the surrounding areas. Each member of their professional plumbing team is fully licensed, insured, and bonded to offer asset protection and added peace of mind for their clients. Their services include repair, replacement, and installation of sinks, faucets, toilets, water heaters, garbage disposals, pressure regulators, and shower valves. They service most of the industry's leading brands including AO Smith, Rheem, Delta, Toto, Kohler, and Moen. As part of their exceptional customer service, seniors, teachers, and peace officers are provided with discounts on different services. Kent Plumbing has five-star reviews on Yelp and Google Local. Mark Bower Plumbing is a family owned and operated business that has been providing homeowners and businesses in Canyon Lake, Lake Elsinore, Menifee, Murrieta, Sun City, Temecula, and Wildomar, Maryland with high-quality plumbing solutions since 1991. Their services include leak detection, emergency flood, general plumbing, slab leak repair, and installation of standard and tankless water heaters. They also service a wide variety of well-reputed brands including Delta, Kohler, Moen, Noritz, American Standard, and Bradford White. Mark Bower Plumbing is a proud member of various organizations including the Better Business Bureau, Green Plumbers, Canyon Lake Chamber of Commerce, and Murrieta Chamber of Commerce. They have 5.0 rating on Yelp and are available for emergency services 24 hours a day, seven days a week. MJS Plumbing Co. operates as a professional plumbing company which works with people in Murrieta and the nearby communities like Temecula, Canyon Lake, Lake Elsinore, and Sun City. The company and its employees remain fully licensed and are capable of helping with numerous problems such as the installation, repair, and replacement of necessary facilities like water softener systems, tub and shower valves, toilets, faucets, and water heaters. Previous and recurring clients praise the company and recommend it to others because of its friendliness, professionalism, dedication to customer service, high-quality treatment, and its speedy responses to people’s requests for services. Morrow Plumbing, founded in 1976, is one of Lake Elsinore, California’s top providers of prompt and high-quality plumbing solutions for both residential and commercial applications. Over the years, they have remained an affordable choice for homeowners and businesses with simple to complex plumbing needs. Their services include general plumbing repairs, remodeling, drain cleaning, and repair, replacement, and installation of toilets, faucets, garbage disposals, and water heaters. Their service crew travels to their clients’ locations in fully-equipped trucks to make sure their clients’ concerns are addressed on the first visit. They boast a warehouse complete with over ten thousand plumbing parts and equipment in stock that are ready for disposal. Morrow Plumbing is an A+ rated business with the Better Business Bureau. Pipeline Plumbing & Drain Specialists is a professional plumbing company serving the North San Diego, Temecula, and San Diego, California communities and the surrounding areas. Pipeline Plumbing & Drain Specialists provides a broad range of residential and commercial services including gas line repairs, drain cleaning and repair, preventative maintenance, sewer lines and replacement, trenchless sewer line repair, 24-hour emergency services, water filtration, faucet and fixture repair, in addition to water heater repair and replacement. Pipeline Plumbing & Drain Specialists also offers free consultations on new services and repairs. Customers recommend this company for their team of experienced professionals, high-quality work, and friendly customer service. For fifteen years, Plumbing Specialty has provided full service plumbing services in Murrieta, CA, and the surrounding communities for both residential and commercial customers. They detect and repair slab leaks, install and fix regular and tankless water heaters, and repair and replace sewer lines. They also install a variety of bathroom and kitchen fixtures, including showers and faucets, and repair kitchen lines as well. Scour Jet high-pressure jet cleaning is also available for clients with slowing drains. Plumbing Specialty guarantees their parts, labor, materials, and equipment, and is available 24-hours a day. They offer free estimates and same day appointments as well. Prime Plumbing Co. is a full service plumbing contractor located in Temecula, California. Prime Plumbing Co. has over 15 years of experience in the Murrieta area. Prime Plumbing Col. deals with major and minor plumbing incidents of all types. Leakages, garbage disposal blockages, water heater repairs, and clogged drains are just some of the services Prime Plumbing can be contracted to resolve. Most of their products and repairs even come with a one year labor warranty, and the company offers free pricing estimates to all its clients before starting work on any project. Clients praise Prime Plumbing Co.'s efforts always to keep them informed and establish communication throughout any and all servicing. The Plumbing Guys is a licensed and fully licensed contractor in Lake Elsinore that has been around for more than two decades. The company thrives because of integrity, professionalism, and honesty, and it gives a 100 percent satisfaction guarantees to prove its commitment to quality workmanship and customer care. The team comprises trained, experienced, and industry-certified technicians, who undergo periodic background checks, and it performs a range of jobs, including line location, backflow testing, hydro-jetting, tank-type and tankless water heater installation, and slab leak repair. The Plumbing Guys offers maintenance plans to ensure comfort and safety all year round, and it takes care of residential and commercial environments, including restaurants, multi-family dwellings, and parking lots. The crew responds to emergencies 24/7. Located in Murrieta, California, Top Service Plumbing is a professional plumbing company that specializes in both residential and commercial projects throughout Riverside County, San Bernardino County, and surrounding metropolitan areas. The company offers clients a wide range of services, including drain cleaning, re-piping, slab leak detection and repair, water heater and tankless water heater installation, sewer replacement, septic tank repair and installation, and more. Top Service Plumbing is also available for emergency plumbing repair and water damage restoration services. Previous clients praise the company for its reasonable prices as well as the professionalism of the company's owner and staff. WPD Inc. is a full service residential and commercial plumbing company serving residents of Wildomar in the Inland Valley. WPD is a minority woman C-36 plumbing contractor, which is unique in the plumbing field. The owner operator of WPD is Jeannie Hall, who has over 11 years of experience in plumbing and nearly 35 years of experience in customer service. The company provides complete plumbing repair, installation, and replacement services, and is committed to providing quality service to the community. The owners are Southern California natives and have been involved in plumbing for many years. 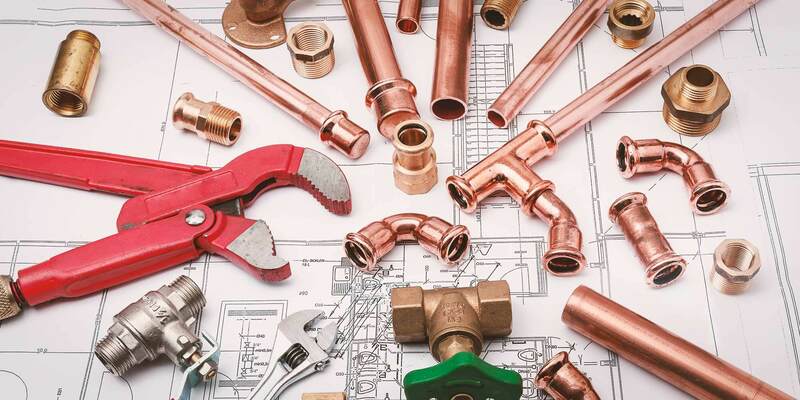 Their plumbing services include water line repair and replacement, gas piping, video inspection of sewers and drains, faucet and sink installation, hydro jetting, flood drains, gas and electric water heaters, and many other plumbing services.